Even if the game have a lot of content, I feel it lacks more alternative machines to produce oxygen. 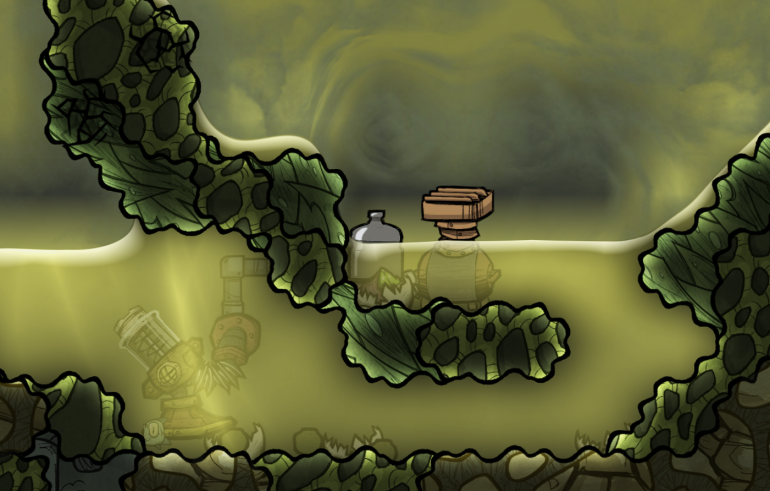 Not to simplify the game, but to have more gameplay possibilities and mostly have a smoother transition between the Algae Diffuser and Electrolyser. Often new player encounter an hard period during this transition, out of algae and the the steam geyser still not found, that can be discouraging. Mostly that once you have your electrolyser correctly set up, you don't have to think about your oxygenation. Emit germs if the slime is contaminated. It could be a good transition of the algea diffuser before the electrolyser. 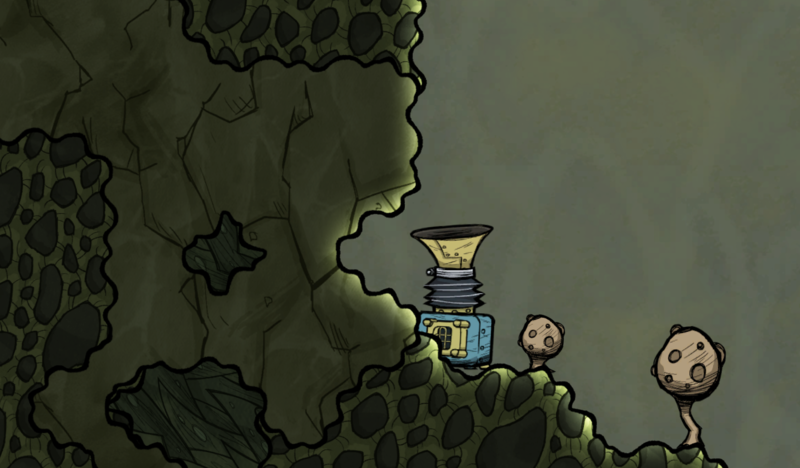 And it encourages the payer to learn to deal with the slime and use this little used machine : the ore scrubber. Emit germs if the polluted water is contaminated. This one is to give a new content after we have our electrolyser done. Can be able to produce polluted oxygen can be pretty usefull to have a reliable Puft Farming or produce Clay be filtring it. I know we can use terrarium and the polluted water bottle, but I'd like to see new machine instead of divert existing mechanism even if that's also a good point. How about a a machine using phosphorite and producing phosphorus and oxygen. Make it less effective since you can get lots of phosphorite eaily. I saw somewhere that there are plans to produce oxygen out of lunar regolith. Maybe we could get a late tech regolith catalizer to produce oxygen out of the mostly useless space sand. I don't like the slime one. Personally I feel that should be the job of the Algae Distillery, and it serves as an introduction to a more complex supply chain (definitely the first two-step chain I made in ONI). Actually the slime diffuser is more the less, useless. A few more steps can give you (at least breathable) oxygen that are safe to breathe. However a polluted water electrolyser could be reasonable, cause in real life, you can’t electrolyze pure water unless something ionic (salts or acids or bases) is dissolves inside. And polluted water probably have those stuff inside. However if you are electrolyzing polluted water, it should deposit something that you’ll need to clean its electrodes regularly. Probably polluted dirt. Well, I also wish algae is a cultivable stuff, and not rely on puft sh*ts. BTW I also have an idea about a decarbonlizer. It eliminates carbon in CO2, producing both O2 and refined carbon. With strong heat production as disadvantage. Agree. That would make regolith better than now. In most cases I just want some dupe to build a incinerator to burn it all or trying to feed them to the moles as much as possible to trash them. But if regolith processing is true, then I’ll probably keep them. Besides, I also know there’s something awesome called Helium-3. A isotope for nuclear fusioning (not fizzioning), strong and safe energy source, with a trace amount of usable metals.